Being told that you need to wear a retainer can be daunting. Your dentist or orthodontist may recommend a retainer for your teeth whether or not you’ve had braces (or Invisalign). They can be used to help correct a misaligned bite or keep your teeth straight. Most dentists will recommend a removable retainer. However, a permanent retainer or surgery might be necessary to fix severe problems. Here’s everything you need to know about wearing retainers and how to care for one properly. A retainer for teeth is a custom-made device made of plastic or wires that hold your teeth together in place, so they don’t move. Most dentists and orthodontists recommend getting a retainer after you’ve had Invisalign, metal braces or corrective surgery to ensure that your teeth remain straight. It can take as long as six months for the new position of your teeth to become permanent, but in most cases, in order to retain the position of your teeth, you’ll need to wear a retainer for the rest of your life (but only at night). You may have to wear a retainer if you have a misaligned bite or even speech problems. To get fitted with a retainer, your dentist or orthodontist will take impressions of your teeth, do an oral exam, take intra-oral pictures of your mouth and may need to take x-rays. He or she will create a retainer based on the information gathered. There are two primary types of retainers: permanent and removable. A removable retainer is made of plastic or acrylic while a permanent retainer is made of metal, copper, or titanium wire. Clear, plastic removable retainers can be worn for up to twenty years while permanent retainers are worn indefinitely. Permanent retainers are ideal for someone who does not want to have braces or follow-up surgeries after a procedure. They cannot be lost and are not easily seen in the mouth. But they can be hard to clean around, which may lead to tartar buildup and gum disease. Your teeth may still shift even with a permanent retainer. Removable retainers are easier to customize. They are often a popular option with children. You may have to replace them yearly as needed or anytime you lose them, which can become costly. They tend to be more noticeable than permanent retainers and can be very germy with bacteria accumulating on them. A retainer ensures that your teeth stay in place for a designated amount of time. If you just completed Invisalign or had your braces removed, then a retainer can help ensure that your teeth remain straight. Your dentist or orthodontist may recommend a retainer to help correct an underbite or an overbite. Straightening your teeth and alignment can help improve the appearance of your smile. It can also correct speech impairments you may have by aligning the shape of your mouth, which is needed to help you annunciate words and form sounds. Wearing a retainer can help prevent your teeth from relapsing. 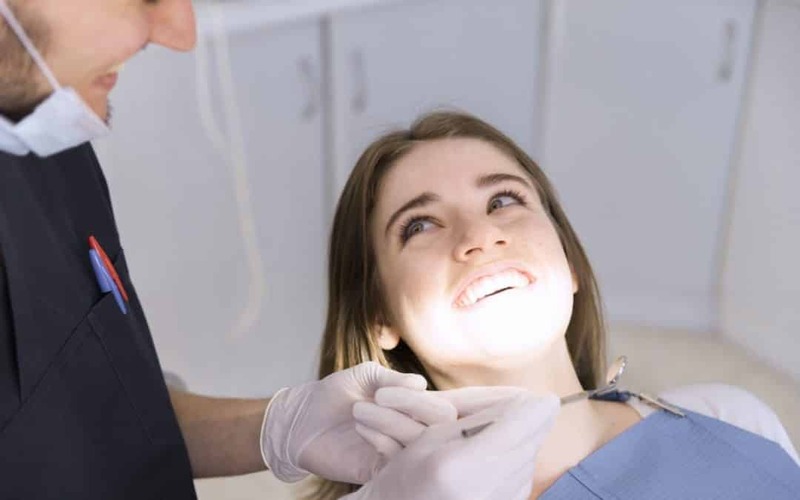 In other words, it can reinforce the corrective surgery, Invisalign or metal braces that you just had removed to ensure that the changes done to your mouth are permanent. A retainer acts as a reinforcing structure to make sure your teeth grow straight so that you don’t have to go through another round of braces or corrective surgery. Do Retainers Hurt The First Day? Some people report minor pain while wearing a retainer. This may last one or several days, depending on the severity of the condition that you are being treated for. It should be noted that being fitted for a retainer is a painless process. You may experience some pressure or soreness in your teeth and gums as your mouth gets used to its new shape. If your retainer rubs against your gums or causes them to bleed, then see your dentist or orthodontist to have the fit corrected. How Long Do You Have To Wear Retainers? According to one study, you should wear your retainer all day, seven days a week for up to one year after your braces are removed (1). Then you should follow the directions of your dentist. He or she will tell you whether you need to keep wearing your retainer and whether or not it needs to be worn at night. In most cases, in order to maintain you’re the position of your teeth, and your bite, it will be suggested to wear your retainer at night indefinitely. If your dentist or orthodontist is having you wear a retainer for reasons other than to straighten your teeth, then these recommendations may be different. A speech impediment may require you to wear your retainer only during certain times of the day. It’s always best to follow your dentist’s or orthodontist’s advice when it comes to how long to wear retainers. What Happens If You Don’t Wear Your Retainer? If you don’t wear your retainer as directed, it could cause your teeth to become misaligned again. Your dentist may suggest that you need to wear braces again or have a second surgery to correct misalignment. Wearing your retainer as instructed helps straighten your teeth or the shape of your mouth. When you don’t wear them, you run the risk of relapsing or having your teeth return to the way they were before the corrections. Keeping a clean retainer is essential for your oral health. Be sure to clean your retainer every day to prevent bacteria buildup. To wash your retainer, remove it from your mouth and soak it in warm water for several minutes. Take the retainer out and use a soft toothbrush to remove any debris from it. Be sure to scrub the inside and outside of the retainer using mild dish soap. You can also use a cotton swab or Q-tip to get inside hard to reach areas. Rinse the retainer in warm water and pat it dry or reinsert it. What Happens If You Break Your Retainer? If you break your retainer, then your dentist or orthodontist will likely recommend that you get a new one. This may or may not be covered by your insurance. If you break a permanent retainer, then your dentists will likely recommend that you get a new one as soon as possible. Removable retainers may take several weeks before a new set is ready. It might be a good idea to keep a spare retainer handy in case of emergencies.